What did Mike Gallagher Know about Walker's Meeting with Russian spy? 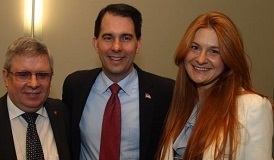 http://newiprogressive.com/images/stories/S5/mike-gallagher-butina-s5.jpg "Gallagher should have immediately sounded the alarm when an agent from a hostile foreign power sought to meet with and influence his boss," say Wisconsin Dems. 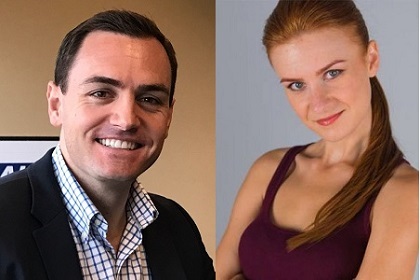 MADISON - In light of breaking news that Scott Walker met with indicted Russian spy Maria Butina at least twice before and during his 71-day presidential campaign, including at his campaign kick-off, concerns are being raised about Rep. Mike Gallagher’s role as Walker’s campaign foreign advisor. The Department of Justice handed down an indictment earlier this week charging that Butina was part of a Russian plot to influence Republican officials and interfere in our elections. The chair of the Democratic Party of Wisconsin Martha Laning asked yesterday for Scott Walker to disclose all contacts he had with foreign nationals during and leading up to his presidential campaign. He has yet to respond to that request.